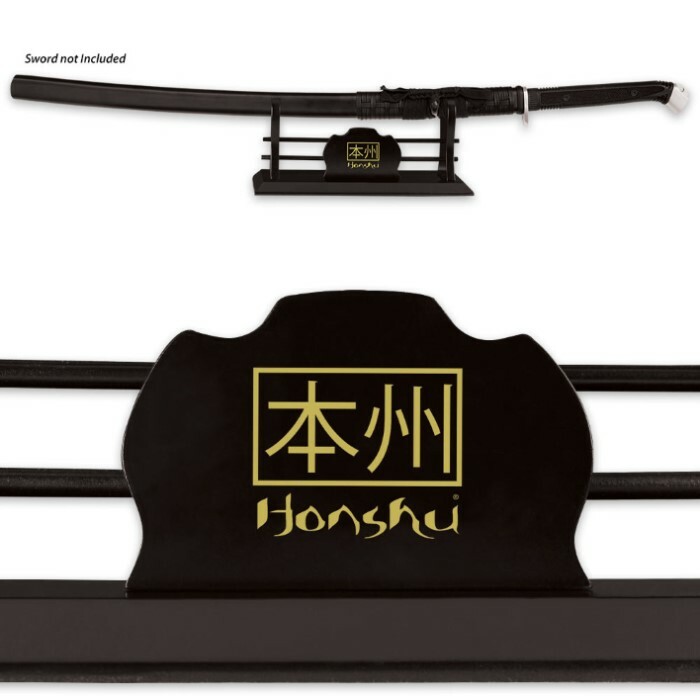 Don't just lean that expensive hand forged katana against the wall - showcase your swords in style with the Honshu Single Sword Wooden Display Stand! 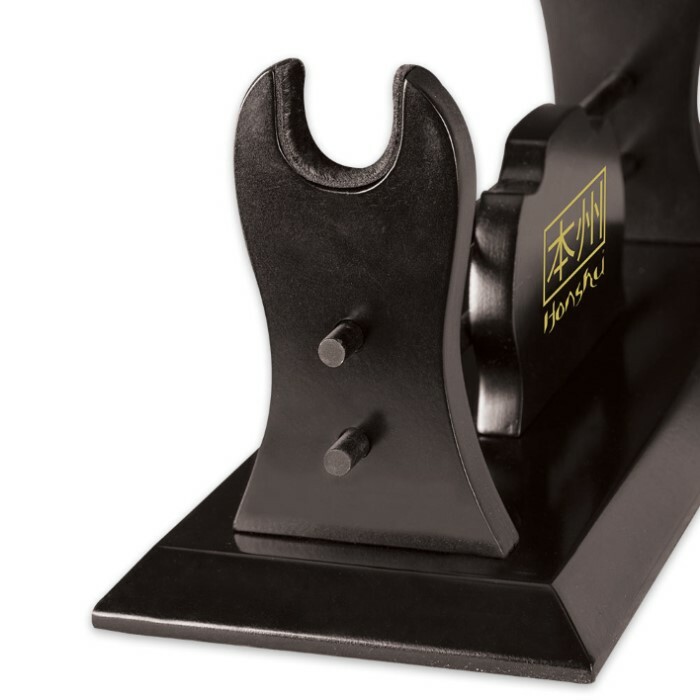 With its tough wooden construction and ample 13" x 5 1/2" footprint, this handsome stand will bear nearly any knife or sword, from small daggers to impressively sized katana. It's painted a tastefully subdued matte black - elegant in its own right, yet it doesn't draw attention from the star of the show - your beloved sword! There's really no wrong place to put this versatile display stand - mantle, bookshelf, dresser, glass case, the list goes on. Its sturdy tabletop design makes it easy. 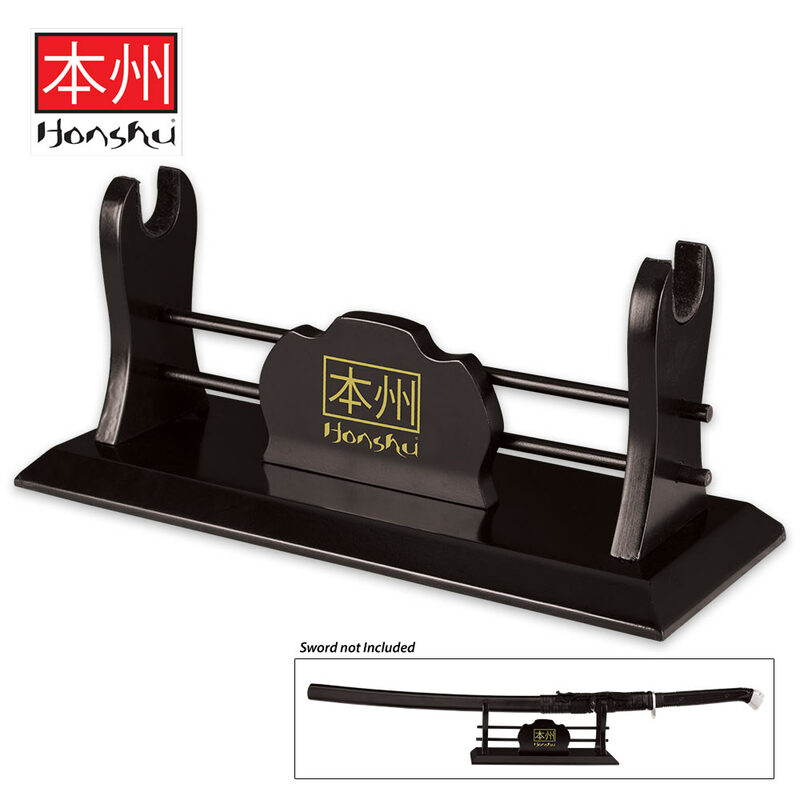 No matter the sword, the Honshu Single Sword Display Stand makes it shine!